Bundaberg is a large city located on the southern edges of the Great Barrier Reef, along the Burnett River. First established in 1867 it was originally a timber town. When timber supplies began to run out, enterprising farmers turned to sugar cane production. Today, this along with other agricultural pursuits still form a large part of Bundaberg’s economy. With a population of over 70,000 people, Bundaberg is a thriving city. It is an area popular with tourists and as we recently discovered, has a lot to offer its visitors. So, here are our top 7 things to do in Bundaberg. When the sugar cane industry was first established, farmers quickly discovered that they had a lot of molasses left over so a group of them got together and decided to make rum with it. The Bundaberg Rum Distillery has been a Bundaberg icon since the late 1800’s. These days no visit to Bundaberg is complete without a tour of the distillery and the awesome new museum. As an added bonus you get to taste any two rums from their entire range. 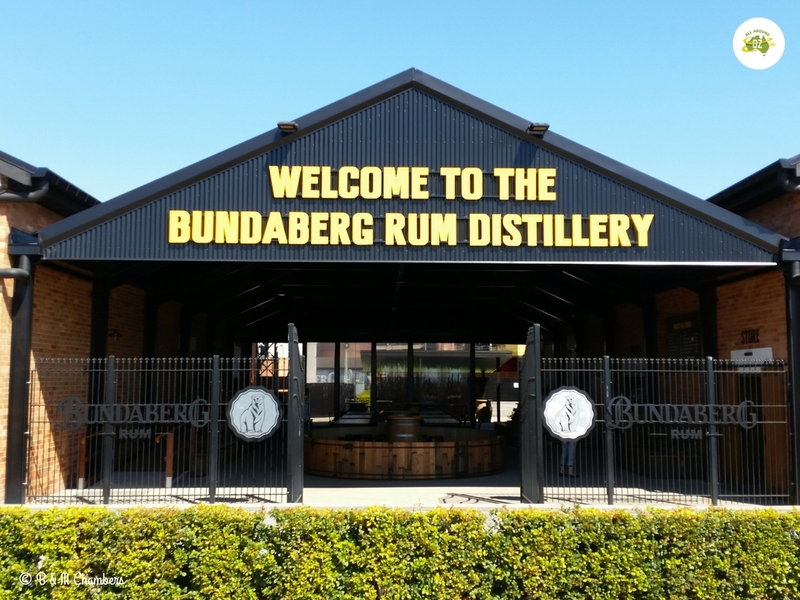 Bundaberg Rum Distillery is a must visit spot in Bundaberg. 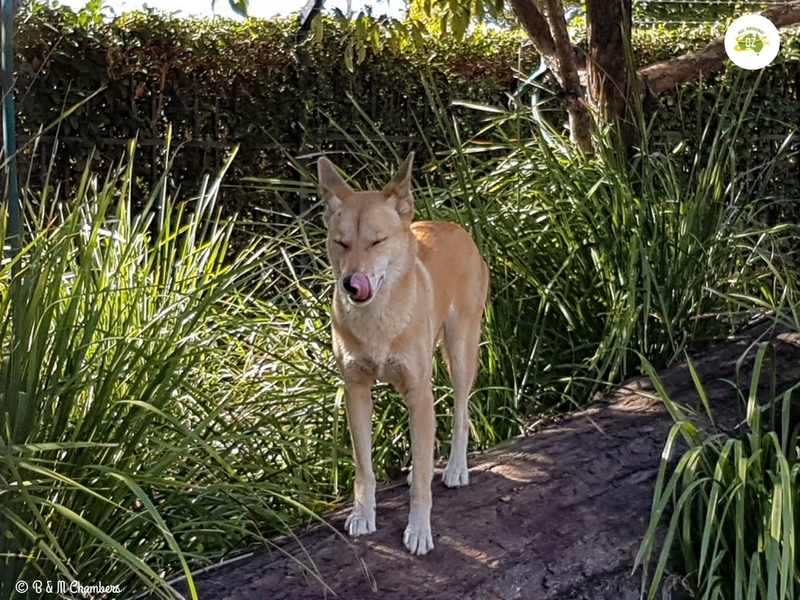 We were so impressed when we discovered the Alexandra Park Zoo in Bundaberg. 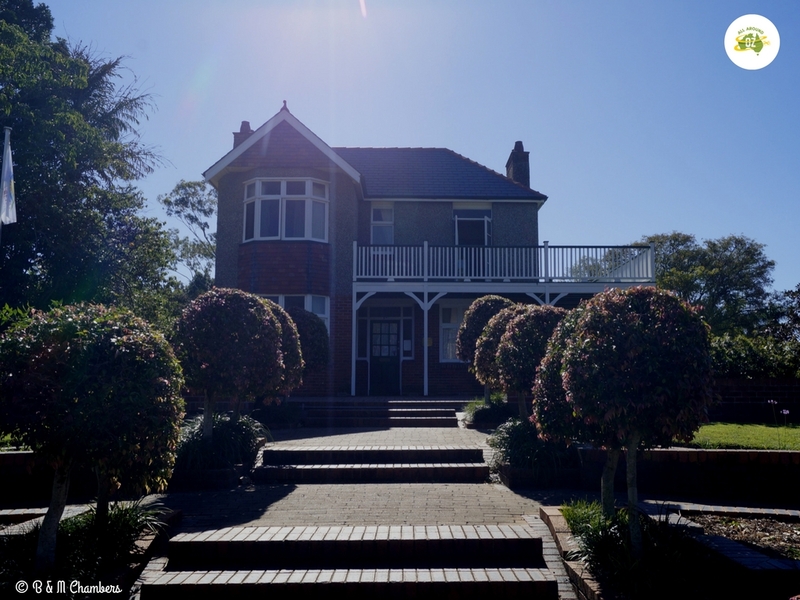 Located in Quay Street, this free zoo is adjacent to a lovely park and playground. For a tiny zoo it had a great assortment of animals and birds including emu’s, dingoes and gorgeous Tamarin monkey’s from South America. With friendly and knowledgeable staff, Alexandra Zoo is the perfect spot to visit with kids of all ages. Whilst there, make sure you walk down the boardwalk that goes out onto the Burnett River. We thought the views were pretty spectacular. 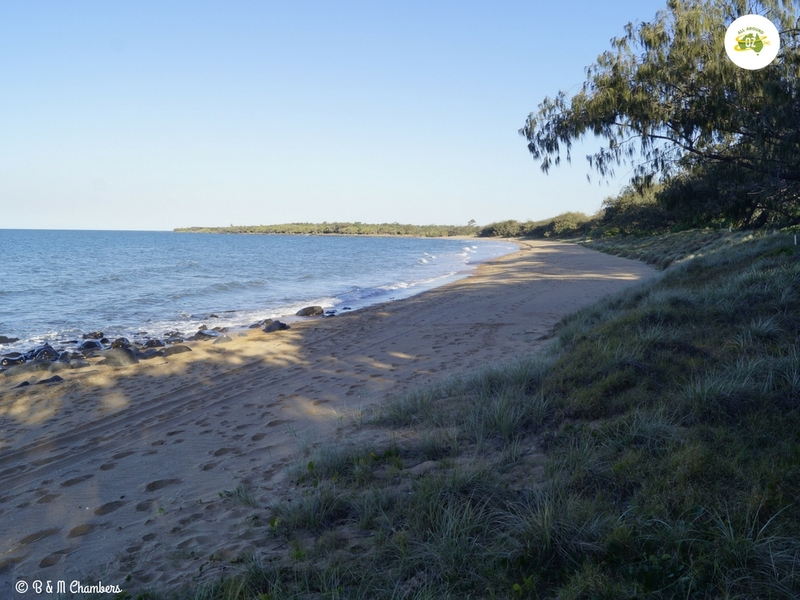 On the coast east of Bundaberg you will find Mon Repos Beach. Every year between November and January hundreds of endangered loggerhead turtles come to Mon Repos to lay their eggs. Then between January and March the hatchlings can be seen returning to the sea. If you are not able to visit Mon Repos during turtle season, it is still worth visiting the Mon Repos Turtle Centre where you can learn more about these ancient sea creatures. If you want to explore the area on foot there are boardwalks that lead all the way back to Bargara. This walk is about 4.2 kilometres long and should take you about 45 minutes to complete. During turtle season the beach is closed to the public to protect the nesting turtles but guided tours can be booked through the National Parks service. Mon Repos Beach was all but deserted in the late afternoon but it’s a different story during turtle season. 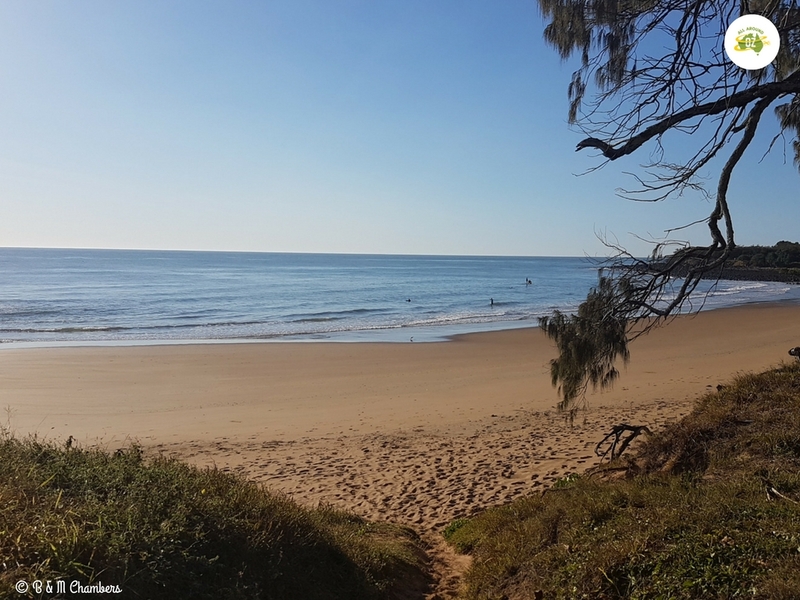 Bargara Beach is one of our favourite spots in Bundaberg. It has a beautiful small beach, sheltered by rocks on both ends. Parkland and walking tracks extend right along the foreshore area now, with the newest park area being Christensen Park. This park has recently had a makeover and new play equipment, picnic and barbeque areas have been added. It is absolute water front and the perfect spot to enjoy a family picnic or a catch up with friends like we did. There are also shops and restaurants nearby and also the Bargara Beach Caravan Park, which is where we stayed. Beaches don’t get much better than this little gem at Bargara. Did you know that Bundaberg is not just famous for its rum? Bundaberg Brewed Drinks started making Ginger Beer in the 1960’s. Now they produce a wide range of brewed soft drinks from their factory in Bundaberg. 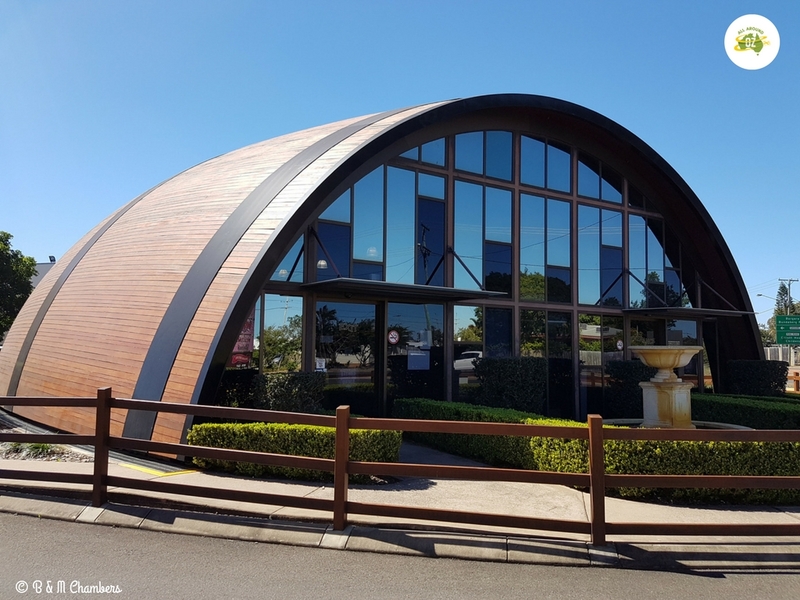 A visit to ‘The Barrel’ will give you the opportunity to learn more about the history of Bundaberg Brewed Drinks as well as learning about how these tasty drinks are made. After you have completed the tour you can taste all 16 of Bundaberg Brewed Drinks delicious products. Some of these flavours are only available for sale at the factory but many can be purchased in your local supermarket. The newly released Tropical Mango was my personal favourite. It would be lovely and refreshing over ice on a hot summers night. Located within the Bundaberg Botanic Gardens, the Hinkler Hall of Aviation celebrates the life of aviator Bert Hinkler. For anyone interested in the history of aviation this is a fantastic exhibit. Bert Hinkler was born in Bundaberg in 1892. After seeing active service in England during WW1 he went on to become one of the pioneers of aviation. Hinkler was famous for his solo flight from England to Australia in 1928. He was killed attempting another solo flight to Australia in 1933. Just adjacent to the museum is Hinkler House (Mon Repos). This was Bert Hinkler’s English house and it was transported piece by piece to Bundaberg and re-erected in the Botanic Gardens overlooking the site where he landed after his solo flight to Australia in 1928. Hinkler House looking stunning in the late afternoon sun. 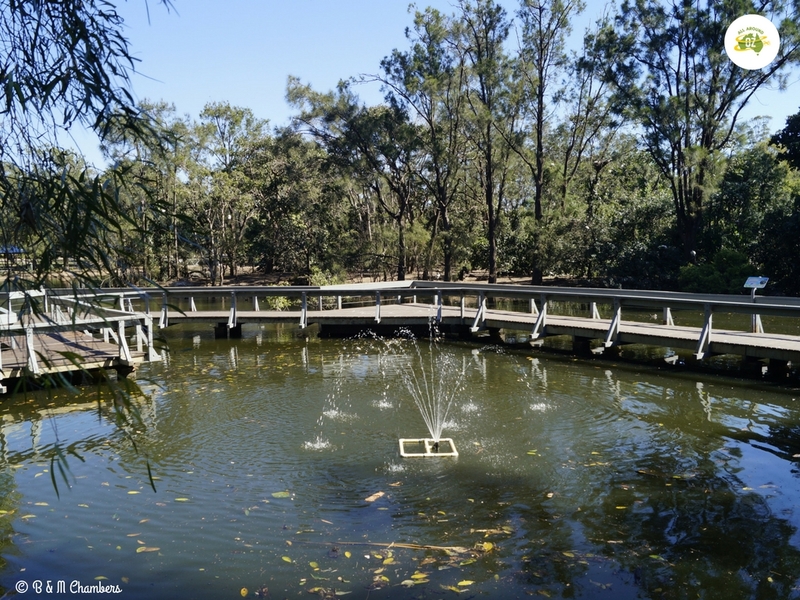 Bundaberg Botanic Gardens is a wonderful public space where you can relax under shady trees, enjoy a picnic or feed the ducks.With a large dam in the centre which is full of turtles and bird life, there are boardwalks and pontoons that extend out over the water. You can also relax and enjoy lunch or a coffee at Cafe 1928 which overlooks the gardens. There is plenty of seating along the front of the cafe with views across the gardens. Also located in the gardens is the Bundaberg Historical Society Museum which is well worth a look at. A highlight of these gardens is the ‘Australian Sugar Cane Train’ that runs around the gardens every Sunday. Prices start at $4.00 for adults or $1.00 for school age kids. Kids of all ages will love it! The Bundaberg Botanic Gardens are a peaceful oasis in the middle of the city. Take a drive out to the Port of Bundaberg where ex-HMAS Toobruk is being stripped before it becomes an artificial dive reef. Drive out to the smaller villages of Elliott Heads, Moore Park or Coral Cove. Walk out to the lighthouse and break wall at Burnett Heads. Take a walk down Bundaberg’s main street where you can see several historical buildings including the Post Office. Pick fresh strawberries at one of the local strawberry farms. Walk across Bundaberg’s historic bridge. Marvel at the workmanship involved in the Bundaberg East Water Tower. Check out the 360` views from The Hummock Lookout. 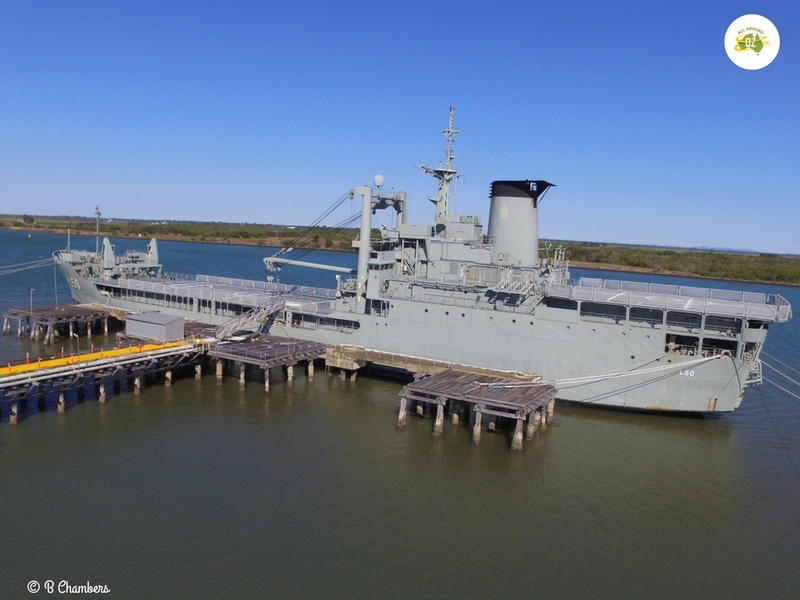 ex-HMAS Tobruk is being stripped at the Port of Bundaberg before it becomes an artificial reef. If you are looking for free camps/stop overs check this Bundaberg Council link HERE. If you are looking for Council run Caravan Parks visit the Bundaberg Holiday Parks HERE. Great list of attractions to see in the Bundaberg region. It’s our home town but we have been away for quite a long time. Good to see the place is growing and has plenty to offer visitors. Thanks for sharing. We love Bundaberg….could easily spend a couple of weeks looking around there. We stopped at Bundaberg for a few days during our around Australia caravan trip a few years. We stayed out at Moore Park right on the beach. We really enjoyed our tour of the Bundaberg Rum Distillery (as this is my husband’s favourite beverage!) We also loved Bargara and Burnett Head. It does pack a punch for a small city. Moore park has a lovely little park as does Burnett Heads and Elliott Heads. We loved our rum factory tour. Very interesting.